Great question, Tracy! First, for those who don’t know what the water foot test is… you put a small amount of water in a shallow pan, enough to cover the bottom fully, then place one foot, then the other, in the pan getting the bottom of the feet wet and then stand on a flattened brown paper bag or other nonwhite paper. Once you step off the paper you’ll see an imprint of your foot on the paper. The foot on the left describes a normal foot, the one in the middle a flat foot, and the one one the right a high arched foot. To strengthen her ankles, start slowly and simply by standing on one foot, in good alignment (weight even on the 3 points of the foot – not rolling in). Start standing for 1 minute, and work your way up to 3 minutes. Toss a ball between your hands or turn your head and do port de bras as your standing on the one leg to challenge your balance. It is such a simple exercise, practicing balancing – and the rewards are so great! Balance gets better through practice. Then have her practice standing on one leg and doing a very small demi plié, again without rolling in. Can she do 8 repetitions without tiring? It goes without saying that she’ll want to make sure she’s in good alignment. Not tucking under her pelvis, or moving forward onto the balls of the feet during the descent, etc. While she is doing the single leg pliés she should make sure the weight is staying even on the 3 points of the feet (pad of the big toe, little toe, and heel) and the knee is being directed over the foot. Any strain felt in the knee area is a clue that her alignment is off. Those 2 simple exercises – will create a strong foundation for her to work off of – so when she begins working her rélevés her balance and alignment will be rock solid. I got your name from a dancer/friend when I asked her a question regarding a current ‘disability’ I have that affects my dance. First, I am a sixty year old male with a history of osteoarthritis and two joint replacements (one hip, one knee). I also social dance 5-6 nights a week……and I am actually a good dancer (mostly because of musicality and I am precise/gentle at leading)……I sometimes tease that I recently won an award for being ‘The Best Male Dancer in the Greater Seattle Metro Area over-60 and with TWO OR MORE Artificial Joints” (small competitive class!). I have trouble taking weight on the ball-of-foot of a pointed foot…..I can hold my weight well enough to get in a chaine turn (heel just kisses ground…..but does not collapse halfway thru)……but I can only hold the weight so far with heel is near the ground……I want to be able to absorb weight at point of max extension and execute a cushioned articulation (sorry I do not know the tech words better) down to my heel…….if I could do a MOON-WALK…..I think I would be fine. Currently working wth a heavy rubber band at that max-extension to see if that will help……also raising to max extension two-legged and then trying to shift weight to injured foot for the down (eccentric?) movement. You’re doing the right stuff with the theraband to start to strengthen the calf muscles again, and I like the slow descent lowering from releve on the side that had the surgery. If you are doing toe risers with clawed toes, though, (called rélevés in dance language) then you aren’t getting as much out of that exercise as you could. Then I want you to stand on one foot and place the other one behind you as in the picture below. You won’t have as wide of a position as the dancer demonstrates. You are stretching the underside of the toes and know that you won’t really need to bend your knee much to get a good stretch. To get more stretch you bend your back knee. When you practice your toe risers – only go as far as you can keep the toes straight. The minute they start to claw – stop – stretch them out and lower back down. Time will tell how much change you can give to this area. After all… you are going to need to continue to train in order to keep your title of The Best Male Dancer in the Greater Seattle Metro Area over-60! I recently viewed your video “tibial torsion audio” on youtube and was directed to your website thebodyseries.com; I was amazed to realize that the dancer in the video seemed to have the same problem as me, where she did not stand evenly on her legs, and in a demi pliet the knee turned inward in relation to the foot. 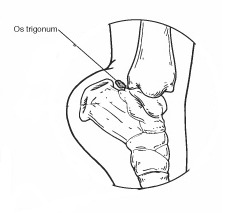 I believe that my right leg has tibial torsion which is negatively impacting my ability to dance or workout. I was wondering if you knew of any doctor who specializes in diagnosing or treating adult tibial torsion, or could provide exercises to help correct this condition. I am a bit clueless, because this is the first time I have heard of someone with knowledge of the asymetry which affects others and me. Any help or direction you could provide would be invaluable and greatly appreciated. Unfortunately, Josh, you can’t undue the tibial torsion once you have it – but it doesn’t have to stop you from dancing. You do, however, need to focus first and foremost on keeping the weight even between the 3 points of the foot, the pads of the big toe, little toe, and heel. 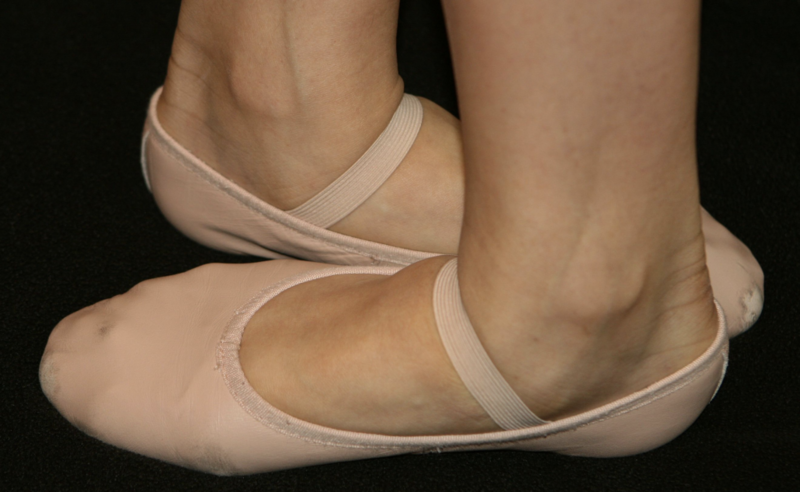 The knees will not be over the middle of the foot as we so often hear in dance class. 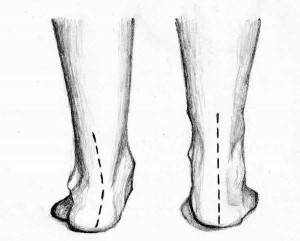 For the dancer with tibial torsion if they pull the knees out to get them over the middle of the foot they are doing it by supinating the foot or overly using the sartorious muscle to pull the knees out to the side. Then you’ll have more problems than just pulling the knees out to the side! The treatment? To simply balance out any muscular imbalances and keep the weight on the feet properly placed while working the turnout as well as you can from the hip – not the knees and feet. http://thebodyseries.com/wp-content/uploads/2017/02/bodyseries_logo-1.png 0 0 deborah http://thebodyseries.com/wp-content/uploads/2017/02/bodyseries_logo-1.png deborah2010-08-24 13:44:562010-08-24 13:44:56Adult tibial torsion?